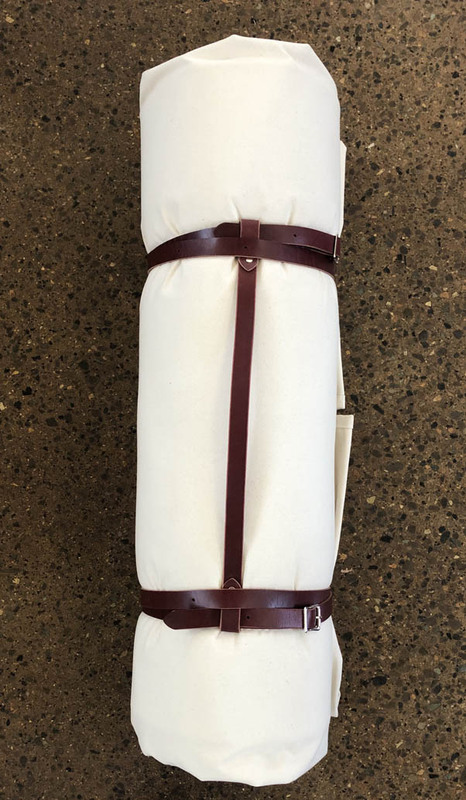 Title: TIPS Bedroll Full Set Up 18oz. Item # 1518 Price: $275.00 Buy! Description: Includes 18oz. Bed Tarp with our 1" foam mattress and secured with a set of our Bedroll Straps and handle. Add your blankets or a sleeping bag and you are ready for camping. Weight 21 lbs. THIS IS A OVERSIZE PKG. EXTRA SHIPPING MAY BE APPLIED.